December had a very good start with 4(!) 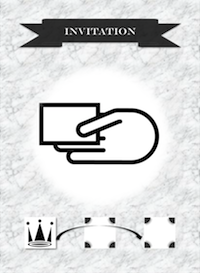 games sold: Comrade, Gulag, Politburo, and the card game version of Iconoclasm. 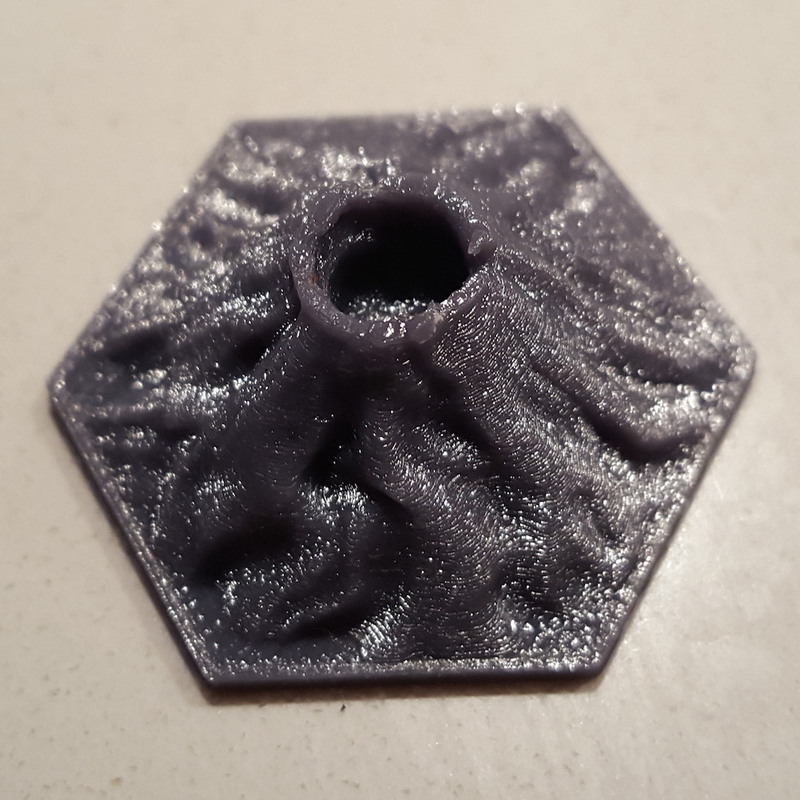 Another game getting attention was Apokalypsis, first good feedback from a designer meeting and then a complimentary 3D-printed volcano tile from a fellow designer entering the 3D-printing business. A future Kickstarter goal perhaps? With the Christmas holidays I finally got time for my current game project Peoples - Civilizations, with the first draft version of the rules published and a Designer Blog for the project started at Boardgamegeek. Peoples - Civilizations is unlike anything I've designed before with its "sandbox" environment where the players are not restricted to few decisions but rather have a lot of freedom to shape the game themselves. That also means that the development and testing effort will be greater and I expect the project to last the entire next year. I also consider submitting the game to the latest contest at The Game Crafter: Big Box Challenge. Peoples - Civilization may be too heavy for such a contest but it's a good incentive to complete the game! 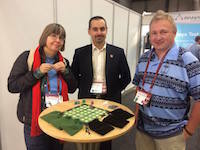 Finally the day for the EuroSTAR Software Testing Conference came and again, the presentation about gamification to teach testing was so well received that the audience flooded the SQS booth afterwards to play Find the Bug! afterwards. Perhaps I should have printed some copies because the most common question was how to buy the game (and one person in Germany actually took the trouble to order it from the USA). Another game that keeps getting buzz is Apokalypsis. It was sold out at SF-bokhandeln and I decided to enter it in the ThunderGryph Contest 2017. The theme is "Survival" and Apokalypsis was entered in the filler category. There's a euro category as well and I've considered different ideas for it but none has been satisfactory so far. Even Lucca got its share of the buzz with an honorable entry in the 20 Most Anticipated Games of 2017 geeklist at the Boardgamegeek. My other game project Peoples - Civilizations continues to evolve slowly due to non-game work taking my time and I don't expect any progress until the Christmas vacations. The ideas keep coming though so the game idea may eventually come true. Finally the Kickstarter campaign for Lisboa has started and already funded. It does showcase my review and although I can't take any credit for the success, I'm glad to see it there. 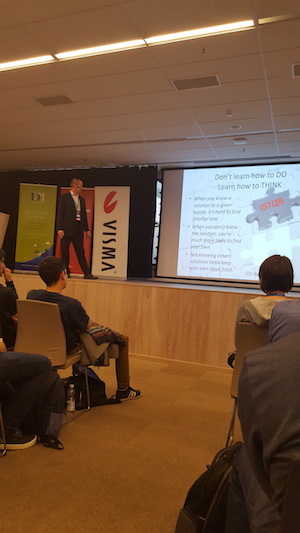 This month's major event was of course the TestCon Vilnius, where the use of gamification to teach testing was presented, using Find the Bug! as an example. The game was so popular that some in the audience skipped the next presentation to play the game and got to keep it afterwards. Another country covered by Nova Suecia Games. I also submitted Lucca and Demokratia to the Hippodice Game Designer Competition after intense reviewing and refining up to the deadline. It was interesting to see how both games first got some changes that sounded good on paper (for Lucca the restriction of similarly colored tiles in blocks rather than towers and for Demokratia the ability to "bump" opponents rather than being blocked) only to have them restored again. 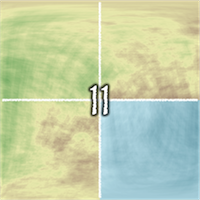 The only change was to allow two tiles to be played per turn instead of only one in Lucca. I think both are better than previous year's finalist Explorers & Exploiters but are they unique enough? That reamins to see. This gave little time left for other game projects but I did start a designer diary for Peoples - Civilizations to attract feedback at an early stage. I expect it to be a very interesting journey. Sometimes I struggle to find the right solutions for the specific needs of an epic civilization game and sometimes sparks of inspiration get me back on track again. I also feel that the many games I've bought and played recently have helped me. Mare Nostrum: Empires gave me the simple but brilliant idea to let resource set values increase the more unique resources you have to encourage exploration of new resources while Dominant Species' use of species on tiles and elements on intersections solved the problem of how to let political and religious influence compete. Unlike previous games, Peoples - Civilizations doesn't immediately feel "ready in my mind" but perhaps it's best to let it evolve slowly instead? 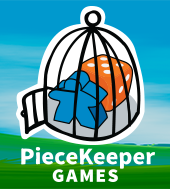 Other game-related news include an interview with Pixy Games, where I among other things discuss the story behind Apokalypsis, and my thoughts on the future of board gaming, a request from PieceKeeper Games to publish Apokalypsis and the first sale for Bake the Cake!. Last but not least, my Lisboa review drew the attention of the game publisher and I've been offered a copy in exchange for their use of the review in the Kickstarter campaign. Writing that review, I built a lot on the experience from game design to analyze how Lisboa's mechanisms work to create a fun game experience. If I don't succeed as a game designer, I may pursue a career as a game reviewer instead. As expected, the completion of the presentation and the essay for EuroSTAR Software Testing Conference took all my time this month and left little time for game design. The essay can be found under Articles. Nevertheless, there were some game news as well and good ones. Lucca was entered into the geek list 2017 Abstract Strategy games of note. Apokalypsis caught the attention of the small game publisher PieceKeeper Games and discussions are ongoing. 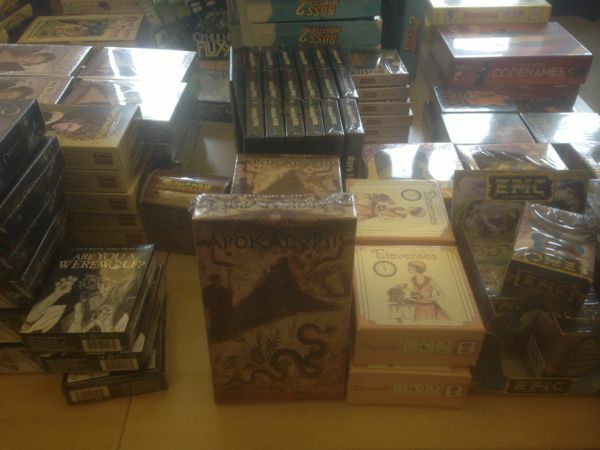 Apokalypsis has also sold out in one of the stores of SF-bokhandeln. As mentioned previously, Find the Bug! will appear at EuroSTAR Software Testing Conference in a couple of months. Thanks to this, I've been invited to TestCon Vilnius as well. I have still not decided whether to bring promotional copies of the Find the Bug! games as well or continue to bundle them in event packages for consultancy companies. Another game that got attention was Mice in a Maze, which was sent to Games 'N' Play Int for review. The heavier Iconoclasm didn't quite fit their range of games but perhaps the more playful Mice in a Maze will? 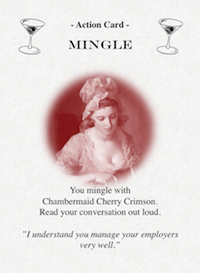 Another potential focus games is Mingle & Murder, that won the approval of this month's Designer Meetup Group. Contrary to my fear that a short non-party game for 5-10 players would be too narrow, they thought it could fill a niche. 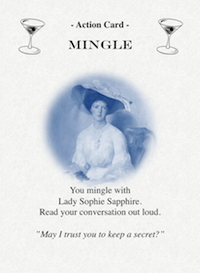 I returned with ideas to make mingle cards valuable as well to increase the tension. Besides my own games, I've started visiting the local boardgame pub #spelbar more frequently. This has given me the opportunity to play favorite games like Tigris & Euphrates, Reef Encounter, and Keyflower. I also got very inspired by the simple and elegant China. It helped convince me that Iconoclasm needs a scoring mechanism to give a sense of progress throughout the game rather than waiting for the end game scoring. Unfortunately, all this gave little time for Peoples - Civilizations. I did come up with several ideas, such as letting religious influence work in parallell with military influence and letting the players choose event cards that affect the history and change the rules. I consider approaching this game a bit differently by sharing the step by step design process in my Boardgamegeek blog to get feedback already at the earlier stages but with all other work piling up, that will likely not happen until after the test conferences. July is normally a vacation month but I used some of my free time to complete the new boxes for the rest of my games, including Bake the Cake!, Find the Treasure, Turn of Time, Mingle & Murder, Mice in a Maze, Peoples, Demokratia and Politeia. The work also gave me an opportunity to look at my old games with fresh eyes and refine and/or clarify some rules. One refinement was to lessen the take that element of Mice in a Maze by allowing tile changes only in your own path and hence giving more control to the players. It's likely to be my next focus game after Christina Regina. 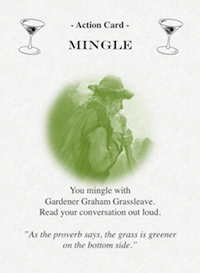 Another refinement was the the new images for the character cards in Mingle & Murder, replacing the previous meeple images. Speaking of which, this month's meeting with the game designer group at Meetup.com, confirmed my latest enhancements and I believe the game is quite mature now. Still, I'm concerned that it's not as visually appealing as my other focus games Apokalypsis and Mice in a Maze so I need to think about if and how to proceed with it. My future focus games Demokratia, Politeia and Lucca all got their Boardgamegeek entries completed, although I set the publish date to next year to allow time for further testing. If successful, I may venture to participate in the Hippodice contest again. How about Peoples - Civilizations then? Well, I stand by my word to slow down the work on new games and let them grow slowly but I did complete the draft rules for the first mechanism: the exploration part. 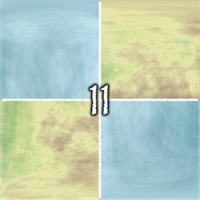 The players will expand tile by tile and eventually their continents will grow together. However, before that happens the world is terra incognita to them and they will where their continents are located or even how they are oriented. The mechanism is solid and I'm ready to move on to what happens when the players eventually meet. For further inspiration, I expanded my game collection considerably with games like 1830: Railways & Robber Barons, Amyitis, Battle Line, Cartagena, China, La Città, Euphoria: Build a Better Dystopia, Five Points: Gangs of New York, Hacienda, High Society, Keyflower, The King is Dead, Poseidon, Rheinländer, Sheepland, Shogun, Tammany Hall, and Tower of Babel (!). Most of them I got cheaply from the same game collector that I previously bought Alchemist and other games from. Those are all games with interesting game mechanisms that I'd like to explore both as designer and as a player. Finally a short note about a game that's not my own. 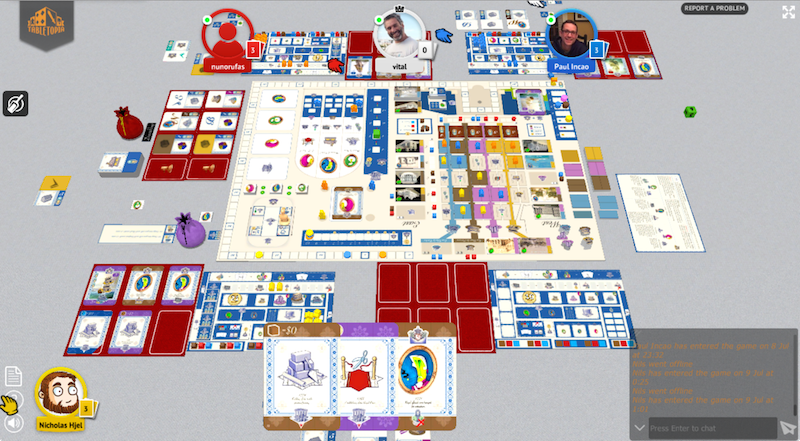 I got the honor to playtest the game Lisboa on Tabletopia. It was very interesting to be part of a professional designer's game test and I even won the game against the developer and the lead tester! A complete account of my experience can be found in this review. My games continues to keep me occupied. After Vasa Regalis and Tre Kronor Infernum, it was time for Mare Balticum and Bellum se ipsum alet to move to new boxes. In the latter case, I used the double-sided retail box for the first time and expect to move all my large box games to this one. Before the end of the month, Find the Bug!, Iconoclasm and Explorers & Exploiters had find their way into retail boxes. I also attended the game designer group at Meetup.com, where I had the interesting and fun experience of seeing "my" game Social Tourist being realized by two other designers. They had also used the mechanism of 1 country = 1 tile where each movement has to overcome obstacles but they had made it into a cooperative game and added cards and mechanisms inspired my smartphone to enhance the immersion. The interesting part was that the same idea could be born independently and the fun part was that the game I had dreamed of came true, even if I wasn't the designer. The meeting gave me a chance to show Christina Regina and not only did the others like it but they also came with ideas that inspired me to even more enhancements. The simple word "quadrants" to fasten the setup led me to add a fourth court and let the players play different colors for different courts. This let the players murder each other more than only once and even extended the playing time by letting the Queen return home after each quadrant. 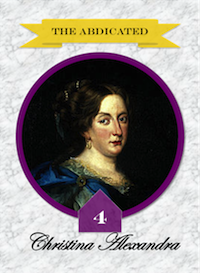 The enhanced version also saw new action cards to further interfere with the Queen's movement. But before that I took time to update Christina Regina, I completed the Lucca. It took several iterations to come up with the gameplay of ebb and flow that I wanted to see while still keeping the game simple. A lot of testing remains but if all goes well, Lucca has the potential of becoming a visually appealing game with sturdy tower tiles rising towards the sky. 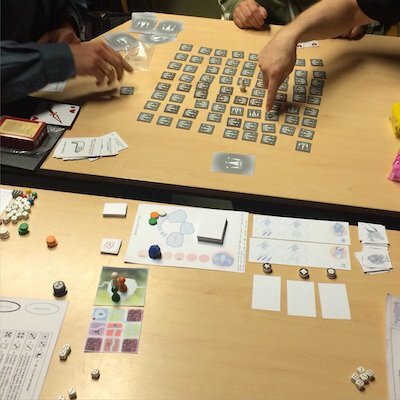 I also put together a draft for Peoples - Civilizations, a game I've wanted to design ever since the first Peoples. With elements like modular map, swift actions, engine decisions, historical interaction, map interaction and combined developments track, the aim is to design a quick and simple game that still captures the epic feeling of a civilization game. However, the old games took all the time from further new games. Another game that received enhancements was namely Nova Suecia. I still had the problem of lack of tension in the end game, as money became abundant and the end game all about piling as much as possible rather than taking the right investment decisions. I didn't want to resort to an "alien" turn money into victory points mechanism and accepted the game as it was to stay true to its core mechanisms. Yet, the answer was inte core mechanisms all the time! By letting the gold market be used not only for loans (good in the early game), I let it be used for deposits as well (good in the late game). As with the other markets, more deposits lead to worse deal for the latecomers. This returns the tension as the players always have to search for the best investment options for their money and beat each other to them. But won't the market fill up very quickly? Not at all, by letting the gold drawn from the ship bag be used either to supply the market or demand from it, whatever the player chooses, I made it flexible to work both in the early game and in the late game. Simple, elegant and true to the core of the game! There is a lot going on here and I saw a lot of things in this game I like. The varied market is really cool and I like how you handle it with adding and removing resources. Also, the boats moving up and down the Delaware is a neat concept as well! Do not give up on it as it is a really interesting design! 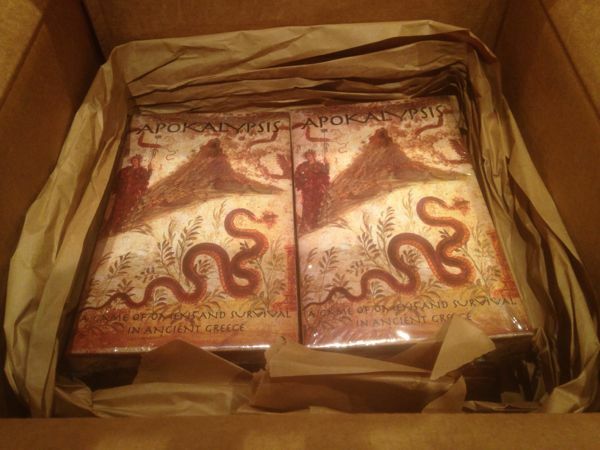 Last but not least, I was happy to see that Apokalypsis had sold out at SF-bokhandeln Stockholm. In addition, both Apokalypsis and Nova Suecia caught the interest of a buyer in the USA, who previously expressed an interest in my unique designs. Thanks for all the encouragement! The focus of this month was to complete the face-lift of my classic games Vasa Regalis and Tre Kronor Infernum. Vasa Regalis actually fit in a small pro box and although this would make it stand out from the other medium sized games in the Nova Suecia series, I could't motivate putting it in a too large box. After all, Bellum se ipsum alet won't get a medium pro box either, since the board is difficult to remove. 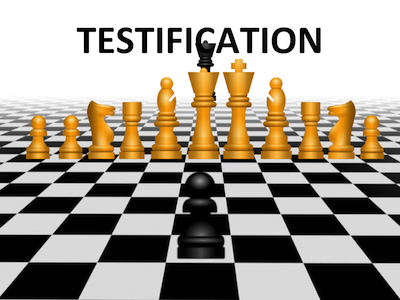 A lot of time was also spent preparing my speech Testification - Learning Test Through Gamification for EuroSTAR Software Testing Conference. A limited preview (without Find the Bug! Agile) was given to my colleagues with good feedback. Interestingly enough, they spontaneously requested some words about learning agile testing as well and I could assure them that they will get an entire game about the subject. Less encouraging was the fact that I once more had to cancel a game testing and dinner event due to too low interest. If it's something I've learnt from my two years as a game designer, it's the importance of good testers, but if I can't get my games tested, how can I bring them to the next level? One option that I consider is upgrading my Indie Game Alliance membership and use their testing and marketing services. Apokalypsis and Christina Regina are possible first candidates. Another option is a new game designer group at Meetup.com, whose first meeting I unfortunately missed. Last but certainly not least, I've got some ideas for a new implementation of the Iconoclasm mechanisms. I've long hesitated whether to make the game more thematic (and emphasize the temporary alliances of the religious factions) or abstract (and simplify the rules). One idea, partially inspired by the recent success of the abstract games Santorini and Tak. The idea would be to replace the units with towers and blocks, measuring the strength by the height of the tower and the size of the block. Winning towers would still wipe out losing towers, be weakened and eventually overtaken by other players. If the rules can be kept at a minimum, it may become my next project but many iterations remain before I can tell. The project name is Lucca. After a busy March, I could return to a less busy month with "business as usual" and continue refining my old games. This month's focus game was my very first game Nova Suecia, with the suffix "The Last Letter Home". I thought that most of the work was behind me and that only minor polishing remained. However, it's clear that I've raised my standards and that the 80/20 rule now applies - the last 20% took 80% of the time. After a lot of iterations, where I worked with balancing the game and improving the components (something I tell more about in my Designer's Notes), I finally had a game that I believed in. Will this be the final edition? Probably not. I'm happy with the common market trade mechanism but still feel that this could be one of several mechanisms in a more epic game that dig deeper into the colonization map. Perhaps a board could be added, where the players cooperate to explore Delaware while competing to claim the best spots. Perhaps route building and area control could help turning this relatively simple game to a gamers' game. But first I need to assess the outcome of the Worker Placement Challenge and then I'll decide. But Nova Suecia was not the only game that got attention this month. Games 'N' Play Int had somehow heard of Iconoclasm and asked for a review copy. I was happy to oblige but that was almost more difficult than designing the game. I used DHL and prepared a shipment online as requested but my closest agent was closed in spite of the opening hours on the webpage and when I found another agent, my online shipment was gone and I had to prepare a new one. Then the package was sent via Southern Sweden and Germany before arriving in the United Kingdom. However, the tracking page claimed that the address was invalid and it took five support contacts and in total two weeks before the game finally reached Games 'N' Play Int. Looking at their previous games, Iconoclasm may be too advanced for them but, it was they who took the initiative and I look forward to learn what they think of it. Another game that got attention was Mare Balticum. After having remained unsold for over a year, it was unexpectedly picked up by a US buyer. 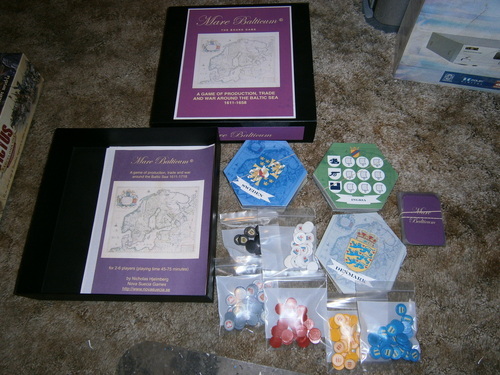 Shortly afterwards, I discovered a possible reason: a user at Boardgamegeek had taken the effort to craft Mare Balticum together with another game of mine, Bellum Se Ipsum Alet. When I later got in touch with the buyer, he said that he was intrigued by the unusual mechanisms. Perhaps Mare Balticum should be my next game to refine? But one game at the time, I have ideas that will make Vasa Regalis and Tre Kronor Infernum fit into medium sized boxes by replacing the boards with cards (personal ship cards and room cards respectively) to bring the price down. Given that Nova Suecia took two months, I expect those two to take at least as long. But I haven't talked about the greatest news of the month yet. 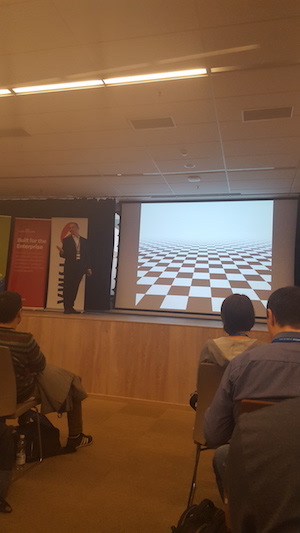 My speech about how games like Find the Bug! and Find the Bug! - Agile can be used to learn testing was selected by committee for EuroSTAR Software Testing Conference and I will give it in September! It will be a great opportunity where I get to market both my professional IT skills and my games. "I'll work less intensely..." Those were the words of my previous blog post. How wrong I was! March started quietly with publishing of my Cardboard Edison Award entries Apokalypsis and The Queen's Path, including new box sizes (my new favorite, the compact medium pro) and, in the case of Apokalypsis, a boardgamegeek entry and a designer blog post. I also, inspired by the latest The Game Crafter contest Worker Placement Challenge, decided to let my very first game Nova Suecia be the next game to refine, or rather reengineer. My previous attempts to refine single mechanisms of Nova Suecia had stumbled on problems to align them with the rest of the (too many mechanisms). This time I decided to start from scratch by removing all redundant mechanisms and focusing on the interdependence between the players. Basically, I wanted the players to be needing all resources but only being able to produce some of them and hence having to buy from each other, but not through the slow direct trade but rather through a market inspired by Power Grid. 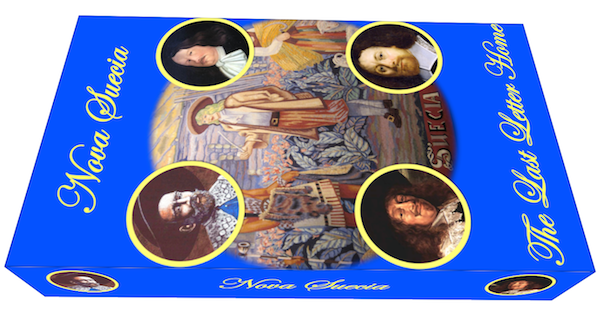 Initial notes and iterations seemed promising and later simulations proved that the new Nova Suecia (with the working name "The Last Letter Home") was not only solid but also a strong candidate for next year's Hippodice and Cardboard Edison contests! However, I hadn't completed those tasks when I suddenly got a positive response from SF-bokhandeln regarding Apokalypsis: They were interested in the game! Fortunately I was in the city center at the following day and paid them a vist. It turned out that they not only wanted to add Apokalypsis to their assortment but also demonstrate it at the upcoming game convention GothCon! I had to throw everything else aside to design a better "shelf box" (including a more colorful front and a back with game illustrations) and rush order 20 copies. It was expensive but worth it! The convention turned out to be a success: many customers picked up the box, played at the demo table and even bought a copy. Some of the key learnings I made were the importance of having being able to explain what the game is about in 10 seconds and how it's played in 60 secondes. 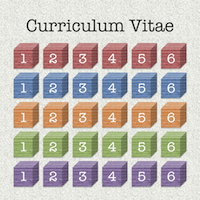 After two years of game design, one of my games appeared side by side with profession games! It's true that the rush order made the game cost more than I gained but that didn't concern me the least. Where to go next? SF-bokhandeln are interested in further cooperation so I could refine another accessible game (The Queen's Path perhaps?). Or I could build on the success and launch a Kickstarter campaign. Or I could simply let the buzz build up first and continue refining my games while waiting. Whatever I choose, Nova Suecia Games did get a breakthrough after two years and I look forward to continue with game design! Find the Bug! - Agile is now complete with home page, shop page and video page. Whether it'll be successful in Learning Game Challenge is another question but now I've done everything I can for my game. With that, I can look back on 2 years of game design (the idea of the very first game Nova Suecia was born on 22 February 2014) with 25 games and several good contest results. However, I've also learned how much work there is behind a game and that I would have to invest ten times as much in testing, production and marketing. Is it worth it? I'm not sure, what started like a hobby has turned into a job and unfortunately, it's a job that very few can live on. I'm not even sure I have the energy to proceed with more game ideas now that I know how much work they will require. I will continue refining the games I've designed so far and perhaps enter some of them in future contests but for now I'll focus on playing games instead and focus on completing my RPG campaign instead. (Just this week, I learned that a gaming group has started playing the first adventures.) For this reason, I decided to expand my collection with a game I've wanted to play for a long time: Reef Encounter. In the same shipment, I included Taluva, Hansa Teutonica and Cavum. To conclude, I'd like to extend my thanks to the game designer community for all I've experienced. With no more immediate deadlines, I'll work less intensely and this blog will be updated on a monthly basis rather than a weekly. However, rest assured that I will remain in the wonderful world of games! Finally a set of rules that I'm satisfied with! My attempt to open a money/code only strategic path in Find the Bug! 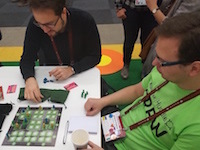 - Agile went well until the end game, where it turned out to be so weak that no player had any incentive to pursue it and thus not bringing any more components into the game. By returning to a previous iteration and mixing it with some of my ideas to bring more codes throughout the game to prevent the end game from stalling, I could finally close the testing at version 0.6. The random testing may still be decisive but that's part of the overall theme of the game. I still have to complete the rule cards and player aides as well as a video but the with the goal set, the path towards it seems so much shorter. Speaking of paths, neither Christina Regina - The Queen's Path, nor Apokalypsis, made it to the finals in Cardboard Edison Award, although they got good feedback. About the former, it was said that "I could see an experienced game group really enjoying the social aspect of the game" and the latter got comments like "Loved the hidden knowledge aspect of the game and the theme" and "Looks like a game I would want to play". I was encouraged to proceed with them but I'm not sure if and how. Without the art and marketing resources necessary for Kickstarter, nor any publisher contacts, they are likely to remain print on demand games. As soon as Find the Bug! 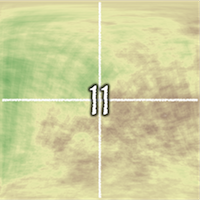 - Agile is completed, new versions of them will be published, after which I'll look for next game to improve. Perhaps it's a good thing but I've kept tweaking and tuning Find the Bug! - Agile yet another week. The basic gameplay remains the same but the scoring options are constantly reassessed. I have noticed in my previous games that I strive for so much balance and symmetry that it's sometimes gets hard for a player to get ahead of the rest. Another busy week, this time including a boardgame pub. I also decided to order more games to my game collection: Reef Encounter, Hansa Teutonica, Taluva and Cavum. In addition to these, I'm looking at titles like UR, Assyria and Torres. I hope that the new games not only will give me hours of fun but also inspiration to my game design. 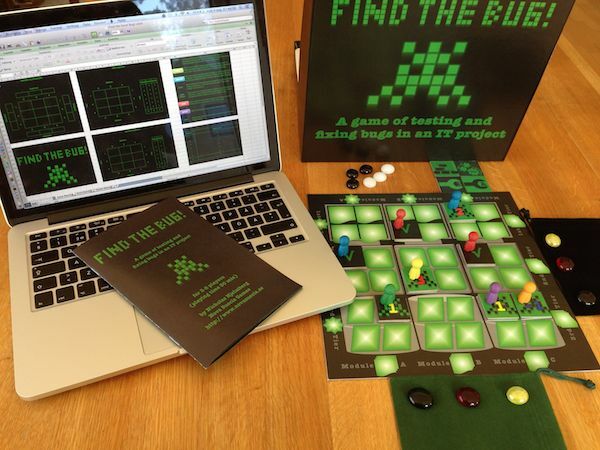 Speaking of which, I did manage to start the testing of Find the Bug! Agile and the game flows well, although it's challenging to keep track of all flows. I did consider several alternative options for code distribution after each test but, such as letting earned codes go to the CV as victory points instead of additional codes from the repository. The idea was to allow the hand size to decrease after module test as well but was eventually rejected since this would add complexity other players earn codes from the test. However, I did add rules like checkout (to give players who test a component to either complete the test or get some reward if someone else does) and stubs (to allow more flexibility when integrating components). To keep track of all design and rules considerations, I started updating the Design and Rules sections of the homepage. Overall, the game looks good as long as I manage to keep it easy to play - it's challenging enough to play well. 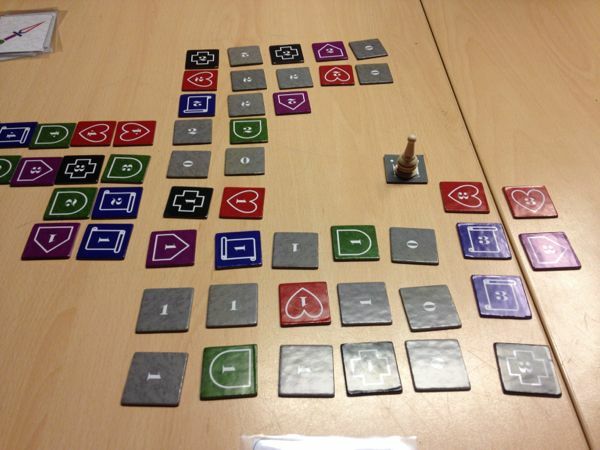 Due to a busy week, including another boardgame cafe evening, I had little time left for game design. Nevertheless, I did complete both the draft rules and the draft draft home page for Find the Bug! Agile. After some calculation, I decided to let the tester keep one code even at failed test cases (or else the test case owner would get too much) and have a hand limit of 6 (or else players could just hoard codes). I'm still not sure whether I should introduce more "spagetti code" instead of the current 2 code input- 2 code output or whether the game has enough depth as it is. Testing will tell and I hope to get more time for "testing the test game" next week. Well, my New Year resolution not to design new games didn't last very long. I blame it on the many inspirational sources that suddenly hit me: Find the Bug! will get an agile sibling! Find the Bug! has by far been our most popular game. 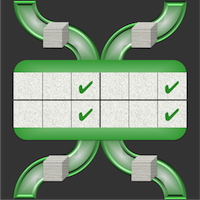 This testing game has caught the attention of the tester community but also spawned questions about agile versions. Well, after having worked in several far from perfect agile projects, got asked to prepare a speech for EuroSTAR and played the inspirational game Alchemist, I finally came up with the idea for an agile test game! The idea is very simple. Collect codes (cubes) and spend them on other player's user stories (cards) to test for the right combination of codes, similar to Mastermind. Failed tests give codes to the user story owner while passed test cases give victory points - the more integrated user stories, the more victory points. Just like Find the Bug!, this agile cousin will combine fun game mechanisms with good learning points. The game will also be submitted to Learning Game Challenge, although the theme may be too narrow for the general audience. Find the Bug! 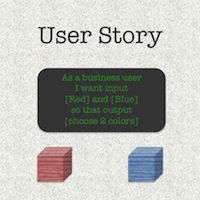 - Agile was surprisingly easy to design. After some Excel crunching to find balanced numbers for codes spent and returned at each test, the game more or less wrote itself. The components (they are surprisingly few, the bulk consists of colored cubes) are already done, the draft rules completed and the first concept test successfully executed. The next week will see more detailed testing and if all goes well, the homepage will get yet another game section! (Of course the joy of a new game didn't make me forget about The Queen's Path. The 2 player test also completed successfully and the game was submitted to the Cardboard Edison Award together with Apokalypsis. Hold your thumbs! 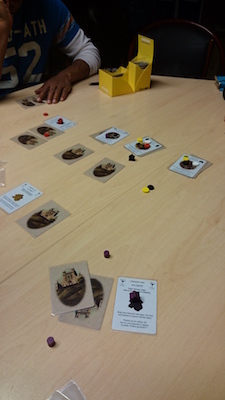 The first game test of The Queen's Path was completed with good results. The game is longer and more tense, just like I wanted it to be. Next, I'll test the new two player variant, where the players have primary and secondary colors. Which will by my next game to refine? 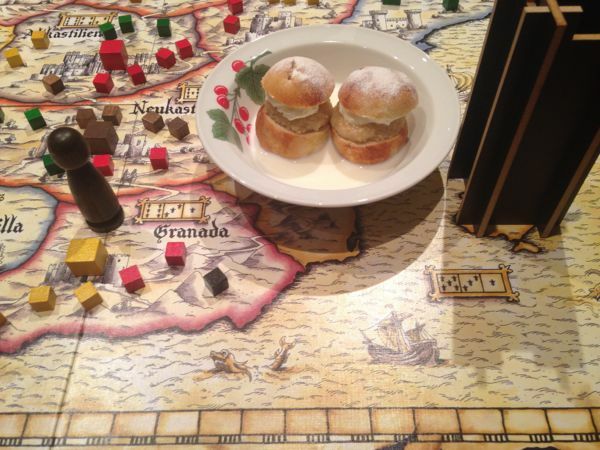 The other two simpler games in the Nova Suecia Series, Vasa Regalis and Tre Kronor Infernum, are candidates for smaller and cheaper versions, Nova Suecia is another candidate for a quicker action-based system instead of the current phase-based system and Find the Bug! has asked for an "agile sibling" for some time. 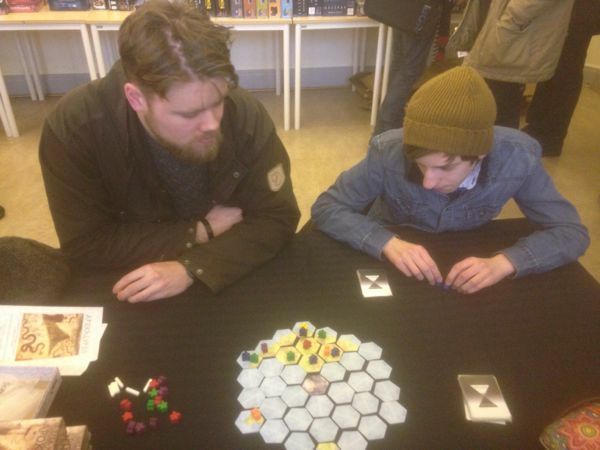 The new year has also seen more intense testing of existing games to learn from their design. Perhaps Alchemist's inventive experiment mechanism may inspire to a new Find the Bug! or Attika's combination of area control and connection to a new Iconoclasm. 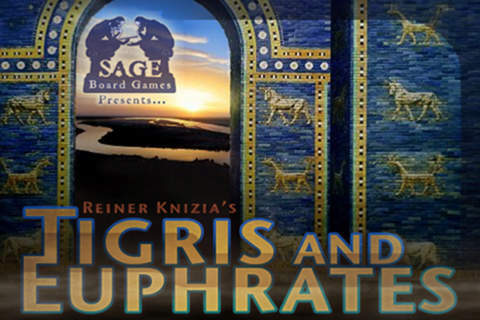 I've also paid for my first game app, Tigris & Euphrates, to be able to play my favorite game whenever I want. Can/should Iconoclasm be more like Tigris & Euphrates? One thing that makes the game good is the need to constantly find strategic and tactical options for acquiring points in four different colors. I did consider the idea of rewarding the players for each successful iconoclasm instead of waiting to the end to see who has the most units and checked how that would affect my latest test game. The result? Water would have won with 1 Fire and 4 Air victories before Air with 1 Earth and 1 Fire victory. The winner Earth would actually end up last with only 1 Water victory after Fire with 3 Earth victory. A good example of how a slightly changed rule can completely change the gameplay. But does it make the game better? Perhaps something to test in the future. The game videos for the Cardboard Edison Award were finally completed. Besides The Queen's Path, I also decided to submit Apokalypsis, partly because it's not yet published and partly because of its popularity at the boardgame café recently. Well, the videos are actually only PowerPoint animations but they are at least one step forward compared to my previous still videos. Hopefully they'll be accepted by Cardboard Edison and help setting the thematic context of the games, something that previous games have scored low on. The new rules and print & play files for Queen's Path were also completed but will not be published until after the contest (after which I'll have to decide whether to let them replace the current version of Christina Regina or not). Meanwhile, I'll continue testing Queen's Path and hopefully there will be a new boardgame café before the contest deadline 31 January.